Thread: Rifle sight UP grade. O K, My Sharps rifle has always been shooting high, 2-1/2 to 4" at 50/ 100msso I thought what I needed was a higher front sight. The front sight on my sharps is a globe sight with a disc in it, it`s nothing to do with a Sharps, got it off my Gerardo air rifle. .. 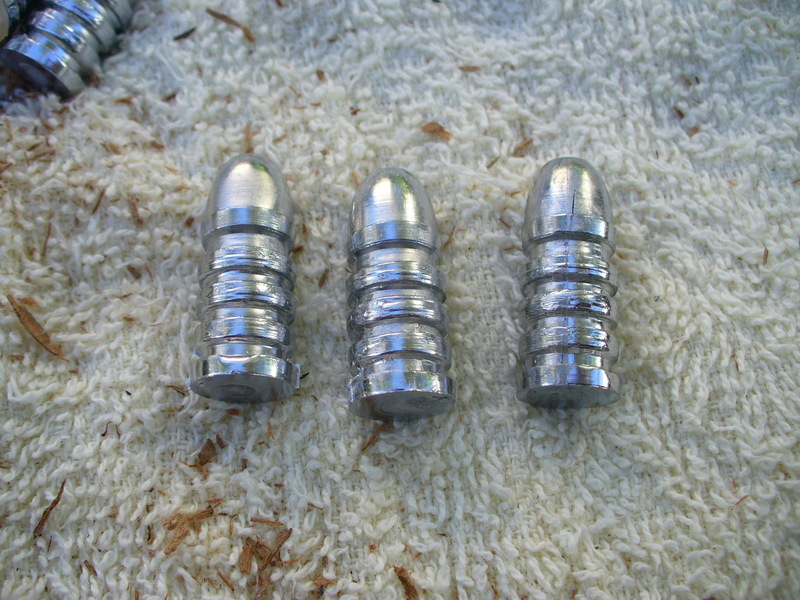 So to make it a bit higher I had two small clock hands, better than pegs , one was glued to the post on the disc a snig higher, bit of guess and off to the range to see if I had got it right. 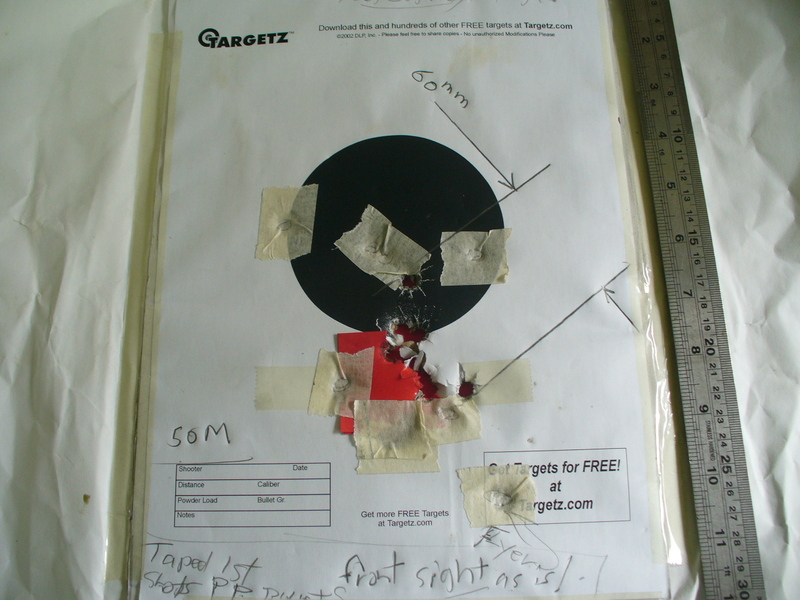 Well yep it`s right on the money at 50m with my new cast bullets using 35.5grs 3031, 8 shot group size, 60mm , not bad with a wrong way twist and home made barrel. P38, Beaker, Gibo and 3 others like this. How did you make the barrel? Did you mill it and turn the twist on a lathe? There's a thread,great way how to learn to be a genius!!!! I'll investigate. Always wanted to make a de lisle carbine. I`v gone virile on Google, just type in " making barrels on my lathe", you will need a up of coffee and cake and half an hour ! Hi Maca49, will be going down to the Awakeri black powder shoot 1st October to have a crack at silhouette shoot, could see you there. No , not off hand, bench rest shooting, jees, at 12 1/2 lbs I'd probably shoot my foot off.